On July 1, 2014 all the users of ProStores found out that this shopping cart would be discontinued. So, now they face a challenge to select a new solution that will meet all their requirements. This choice is really important in terms of competition on the e-Commerce market. That is why the merchants have to evaluate all the pros and cons of the platforms to make a right decision in favour of one. Magento is the e-Commerce platform cited by 34 retailers in the Internet Retailer Top 500 Guide and 64 in the Second 500. The detailed look at the advantages of this shopping cart will help to understand the roots why e-retailers often migrate from ProStores to Magento. Magento Community is an open source and absolutely free-to-download solution. So, it gives users an opportunity to modify the code freely making the shopping cart fit the requirements of their business. However, at least basic knowledge of programming skills are necessary for such modifications. Magento has a built-in set of features peculiar to a high-class e-Commerce solution, including advanced promotion and marketing tools. Also, selecting this platform you will get a possibility to use a multi-store option. It enables the creation of more than one shop and manage them via one admin panel. Magento can be integrated easily with 3rd party services such as Google Analytics, Google Base, Google Checkout, Google Website Optimizer. Besides, its huge variety of payment gateways includes Paypal Express, Paypal Standard, Paypal Website, Payments Pro and much more others creating more convenience for e-store customers. Hard not to mention Magento’s SEO features that can assist in attracting new clients. It gives full control of URLs and meta information, and generates sitemap for SE submission automatically. M-Commerce is an opportunity that Magento stores owners can enjoy. You can benefit from optimized versions with responsive design that are available for mobile devices. Attract new customers and get your sales rates jump up high being in step with the times! 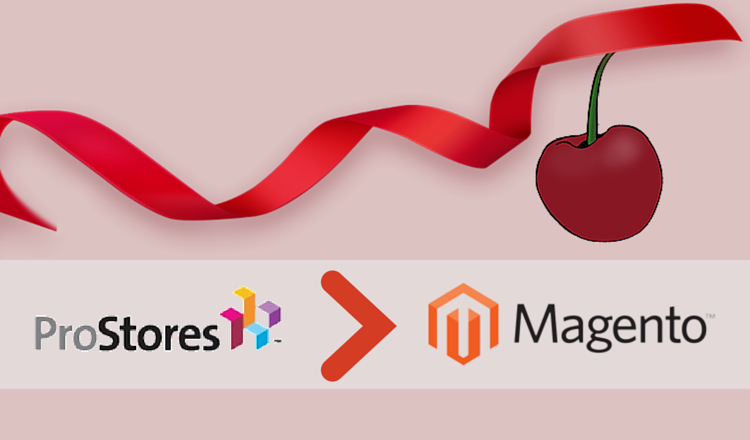 Now, you know major benefits of migration from discontinued ProStores to powerful Magento. Perform only several easy steps and enjoy newly established e-shop. Take a look at prezi below and get more details of effortless switch. Now you know how to switch from ProStores to Magento smoothly with Cart2Cart. So, don’t waste your time and register right away.